Martinsville Speedway boasts the shortest track on the NASCAR circuit, but Martinsville is also known for its furniture industry, resulting in the building campaign of the early 1900s. After World War I, the textile industry caused another building boom. Today's historic district features unique shops and outdoor cafés. 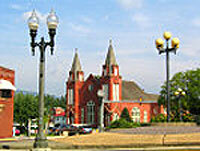 Orange was named for Prince William of Orange in 1734 and served as a courthouse town and railroad-stop. The courthouse architecture depicts an acceptance of exotic tastes after the Civil War. 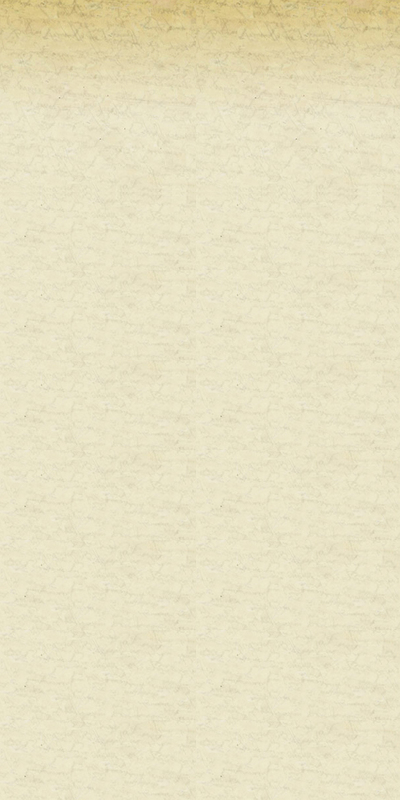 In 1908, a fire destroyed the eastern half of the town. In the 1930s, Orange became a regional center for automobile sales and services as well as a diversified manufacturing center. President James Madison's Museum is in Orange, too. The county seat town of Culpeper was founded in 1759 and grew rapidly in the mid-1900s at the crossroads of major highways. The downtown economy has evolved from five-and-dime stores and agricultural services to a vibrant mix of locally owned shops and restaurants. One of five communities in the USA to win a Great American Main Street Award, Manassas was once totally destroyed during the Civil War. It later became a business and residential district as well as the county seat. In 1905, a fire destroyed much of the town's commercial area. Today, the 1914 train depot serves as a Visitors Center, the old candy factory is an arts center, and an old opera house is a gourmet food store. This colonial village of Warrenton was home to Supreme Court Chief Justice John Marshall. 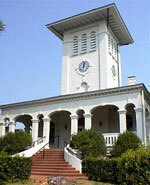 A number of buildings date from the Civil War, when it was occupied by both the North and South troops. Today, the commercial district features more than 400 renovated buildings housing a great mixture of businesses. The colonial town of Berryville sits at the crossroads of two routes that linked the community's economy to trade between Winchester and Alexandria. The railroad brought growth to this city "on the doorstep" of Washington, D.C. See about 200 buildings that have been rehabilitated as well as the Old Clarke County Courthouse and jail. The town of Clifton Forge has a rich iron and railroad heritage of the Alleghany Highlands and is one of the newest Main Street designations. Popular sites include the Alleghany Highlands Arts & Crafts Center, the Chesapeake & Ohio Historical Society and the Stonewall Theater. The arrival of the railroad in Lexington caused a real estate boom in the 1890s with the commercial area built along Main Street. Both Virginia Military Institute and Washington & Lee University are in Lexington, too. Enjoy a carriage tour of Lexington! The railroad changed the economic structure of Staunton in 1852. 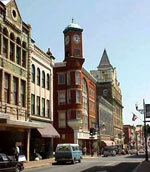 The city's Beverley Historic District includes about 150 buildings within 11 blocks of downtown Staunton, with Beverley Street being a classic Victorian Main Street. Staunton received Virginia's first Great American Main Street Award. See the Frontier Culture Museum and Woodrow Wilson's Birthplace in Staunton. Waynesboro can trace its roots beyond 1798, when a mill, an inn, maybe a church or two, and some other dwellings comprised the downtown area. The railroad brought more expansion to the city and set the stage for the real estate boom of the 1890s. 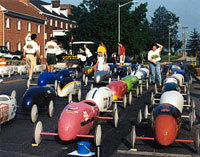 Today's Main Street has no overhead power lines and is the site for many community events, such as this Blue Ridge Valley Soap Box Derby! 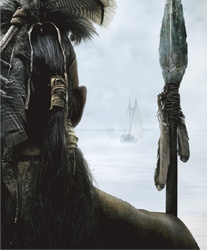 Winchester was always a main center for trade, even when the Shawnees lived here. Several battles from the French and Indian, Revolutionary and Civil Wars occured here, too. During the early 1900s, the leading industry was glove making. Today, Winchester is one of Virginia's leading apple producers and is the site for the world-famous Shenandoah Apple Blossom Festival. Marion boomed in the late 18th century when the Wilderness Road opened and the railroad and coal industry were established. In 1905, author Sherwood Anderson purchased the Marion Publishing Co. and edited two newspapers. Renovations include the creation of a Mountain Dew Museum, where the popular soft drink calls home. Radford — The New River City — is midway between Lynchburg and Bristol and was formerly named Central Depot during the heyday of the railroad. Because of Radford University, the community has expanded its commerical and intellectual life, and its historic district was listed in the National Register in 2000. Iron production was the prime enterprise in Rocky Mount through the mid-19th century with two railroad lines going through the town. By 1898, Rocky Mount's population numbered 600, and most of the town's businesses were owned by Nathanial P. Angle until his death in 1936. Rocky Mount has since expanded its commerical boundaries in Franklin County.